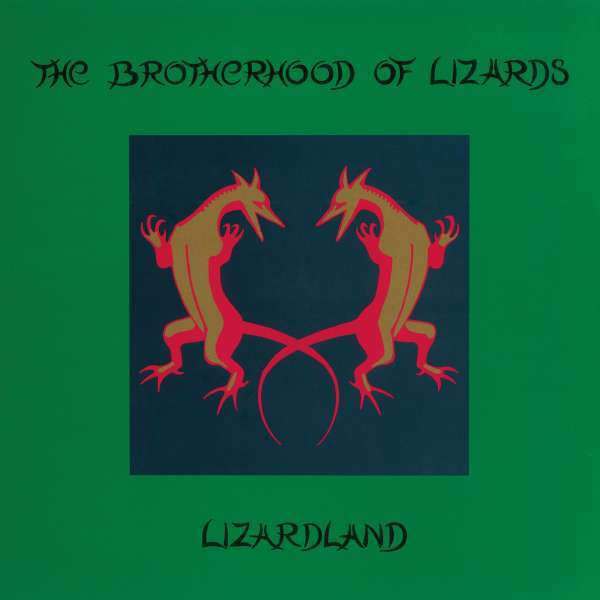 Der Artikel The Brotherhood Of Lizards: Lizardland wurde in den Warenkorb gelegt. By late May of 1989, Cleaners from Venus man Martin Newell and Peter Nice a / k/a Nelson finished their first album, Lizardland, and handed it over to upstart indie Deltic Records. Though there is a fair amount of Cleaners from Venus DNA in the mix due to the charms of the definitely lo-fi recording methods, the music of the Brotherhood of Lizards has a sharp sound all its own. And, the story doesn't stop there. Towards the end of 1989, label head Andy McQueen, who knew Newell's aversion to touring, asked if there was any possibility that the duo might go on a promotional tour. Newell replied, »Only by bicycle«. Soon after, whilst studying a map of England and its regional radio stations, it struck Newell that a bicycle tour might be a real possibility. Thus, amazingly, in early October, the two set off on bicycles, instruments on backs, tiny amps in front carriers, for a 600-mile busking tour of the entire southern half of England. The media became unexpectedly interested. 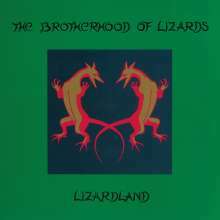 More through sheer eccentricity than eco-activism, at the turn of a turbulent decade, the Lizards had unwittingly hitched a ride on a brand new zeitgeist. They were called »The First Eco Rock Band« and the tour became the subject of a number of news items. As 1990 rolled around, however, there was one big problem, for Newell at least: while the Lizards cycled and busked, an EMI employee saw Nelson on TV and though the would be great replacement bass player for New Model Army. Nelson attended and passed the New Model Army audition and stayed with that band for well over two decades, although it spelled the end of the Brotherhood of Lizards. In spring of 1990, almost two years after they had begun, it was all over. They travelled over a thousand miles on bikes, busked their way around England and made all of the music contained here in this collection.